Google Chrome's coolest new features are available only to those who want to live a little closer to the edge. Want a 64-bit version of Chrome? How about DRM support in HTML5? You're not going to find those in vanilla Chrome just yet. Switching Chrome's release channels lets you try new features while they're still in development. Just remember, this early access comes at a cost: stability. It takes only a few steps (albeit careful ones) to switch channels. And if the result is too unreliable for your liking, you can always revert to the stable version. What are these channels you speak of? In all, there are four separate versions (called channels) of Chrome: Stable, Beta, Dev, and Canary. 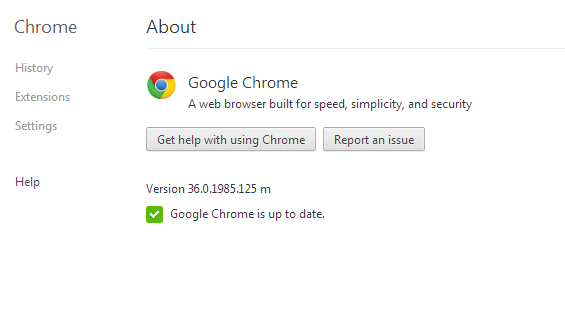 If you installed Chrome from Google’s website, the stable channel is probably what you’re running. 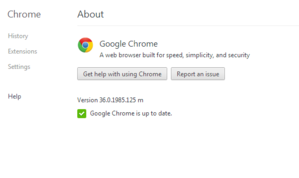 You can find out what version of Chrome you are running from the settings menu. The Beta channel is typically pretty stable as well, but it gets more frequent updates and new features before they hit the public version. The Dev channel is more experimental than Beta. This channel is where Google tests out newer Chrome features before they're ready for general use. It's a great way to check out what’s new, though don’t be surprised if the browser crashes. Canary is for those living on the digital blood-soaked edge. Google warns that Canary may break entirely at times. Finding out which channel you’re on is rather straightforward. 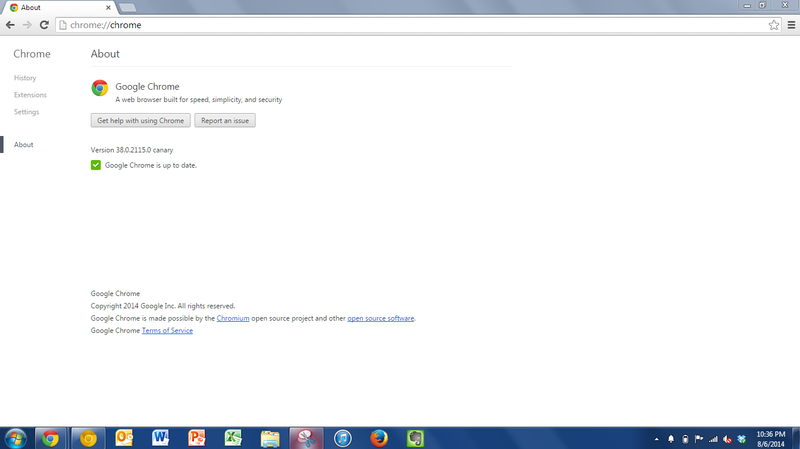 Click the settings menu (the icon with three horizontal bars, or hamburger) and select About Google Chrome. 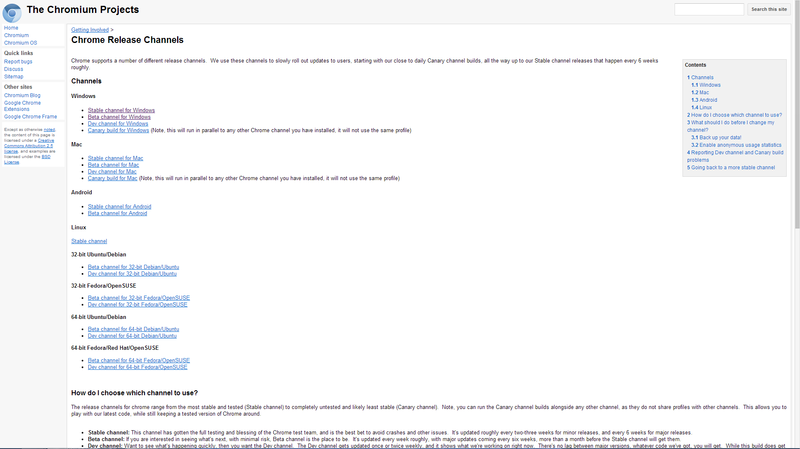 This will tell you if you’re running the Beta, Dev, or Canary channel next to the version number. At any time you can download the channel of choice or switch to a new one. However, doing so requires a few steps to ensure the smoothest possible transition. 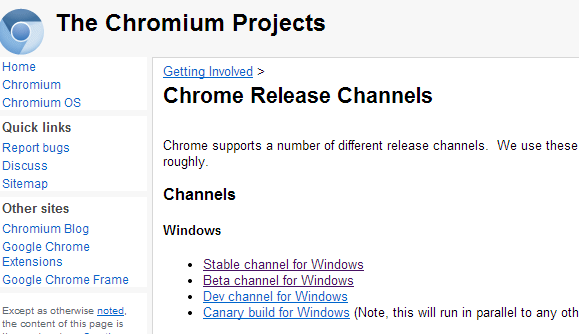 On the Chromium project's website, you can chose what Chrome channel you want to install. Before changing channels, back up your profile by making a copy of the User Data/Default directory. You want to be able to locate it later in case Chrome doesn't recognize your profile data on its own. 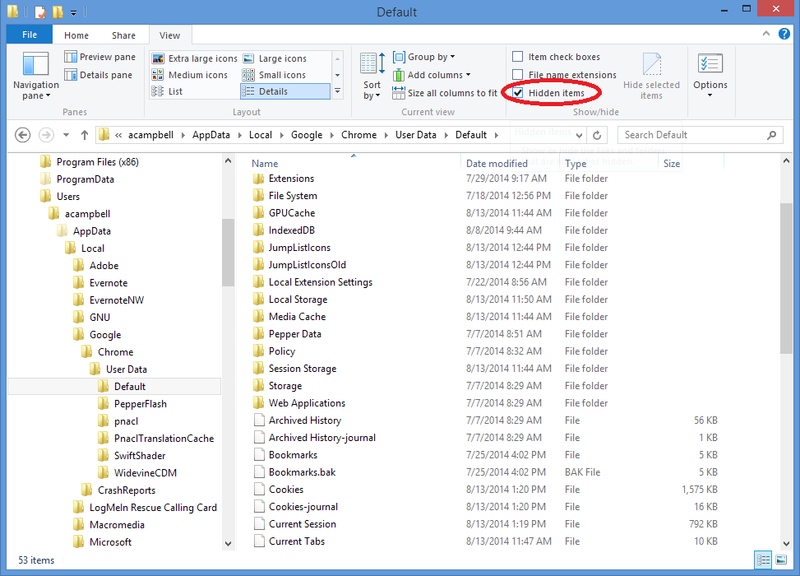 If you're using Windows Explorer, make sure you can see hidden files. In Windows 7, click Tools > Folder Options... > View and check Show Hidden Files. 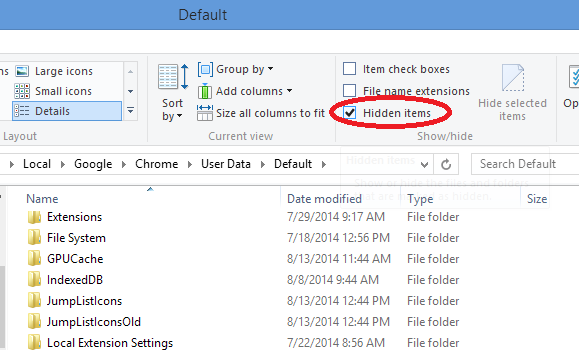 In Windows 8's File Explorer, click View, and check Hidden items. When backing up your Chrome data, make sure you are copying the hidden files too. Once you’ve backed up your data, click the channel you'd like to use and click the Download button to get the setup program. The channel page has all four channels separated by platform and version. 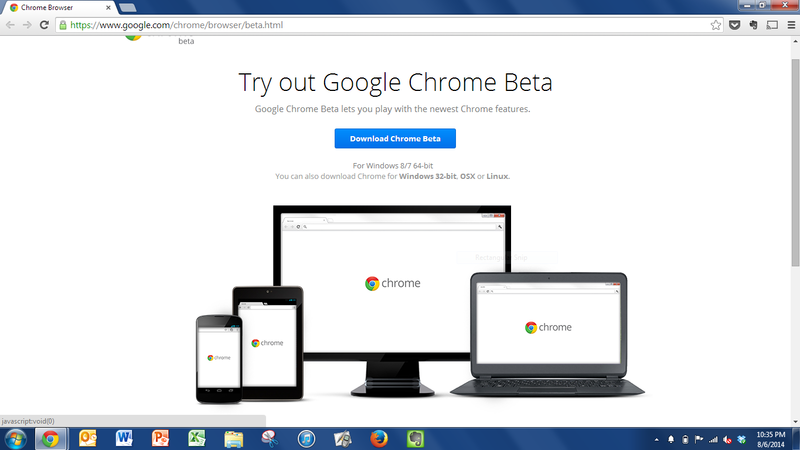 If you have a newer computer, consider trying the 64-bit version of Chrome in the Beta channel. 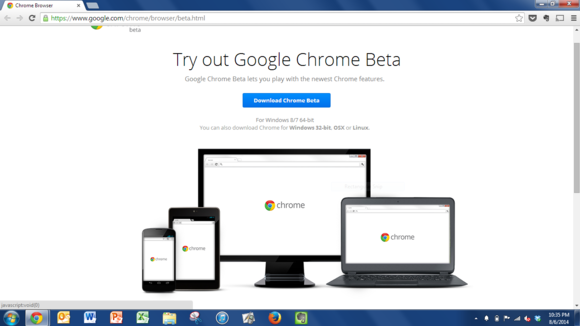 Download the Beta or other versions of Chrome from the official site. You'll have fewer issues if you uninstall your current version of Chrome and download the new channel with a different browser. Switching channels is far easier on a Chromebook. Open Settings, then click Help > More Info. Click the Change Channel button and select the channel you’d like to use. 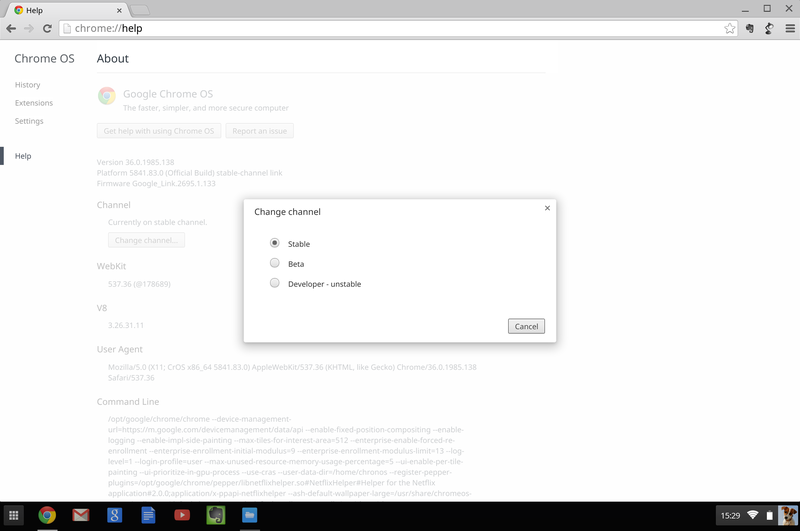 Switching channels is a much simpler process on Chrome OS. After walking on the wilder side of the Beta or Dev channel, you can always return to the safety of the Stable channel. The best way to do this is to delete your profile data, because going back to the Stable channel means you’re installing an earlier version of Chrome. That means you won’t get automatic updates until the channel catches up. It may be easier to completely uninstall Chrome. Before doing this, make sure you're signed into Chrome with your Google account. This ensures your bookmarks, apps, and extension data will reappear when you download the browser again. When you're ready, head back to the Chromium site and choose to download the Stable channel. There's no indication if Google is planning to make such switches more convenient on Windows or Mac at this time, but it certainly be easier for users who want to try out the different channels. You can even have it both ways—enjoy a stable browser and have the option to experiment with the latest features. Chrome Canary, the least-stable channel, is also the only channel that can exist in harmony with the Stable channel. 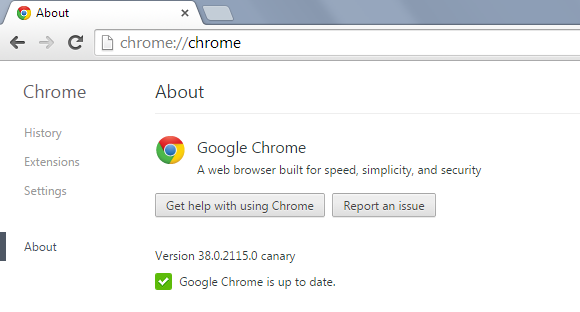 Be sure you are running the Stable version of Chrome and download Canary. It will be easy to identify which version of Chrome is which: Canary features the Chrome logo in bright gold. Get the best of both worlds by using the stable and Canary builds of Chrome on your desktop. Features in Canary usually don’t make it to the stable build for several weeks, if at all. But it can be fun to see what Google's working on. Living a little more dangerously with Chrome doesn't have to be scary, or difficult. If you choose to take the step into the world of testing new software, you'll be the first to experience the newest features coming to Chrome.